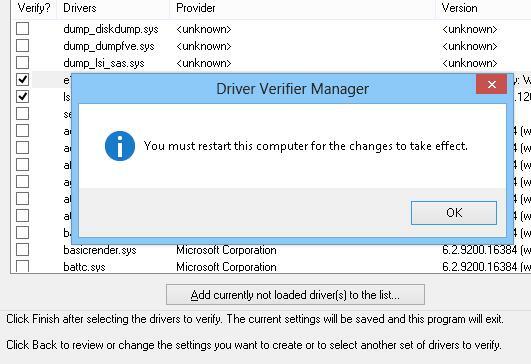 Driver Verifier utility is included in all Windows versions since Windows XP and allows to scan drivers, detect problem drivers, which cause blue screens of death (BSOD), and record a detailed information about the problem driver to the memory dump for further analysis. The tool performs different stress-tests on the drivers simulating various extreme conditions: lack of memory, I/O control, mutual locks, DMA checks, IRP, etc. So it imitates the conditions that seldom occur in productive systems and monitors the driver behavior in them. The objective of the tool is to detect situations that can lead to an unexpected system crash with BSOD. The executable file of Driver Verifier is called Verifier.exe and is stored in %windir%\system32. You can use the tool either from the command prompt or from its graphic interface. Important! Before testing drivers, we strongly recommend to create a system restore point and add the Safe Boot mode into Windows 8 boot menu. This will help to disable the debug mode and restore the system to its previous state if something goes wrong. In the tasks list, select Create custom settings (for code developers) and click Next. Then select Select driver names From a list. Sort the table contents by clicking the heading of the Provider column and select the drivers to be tested from the list. 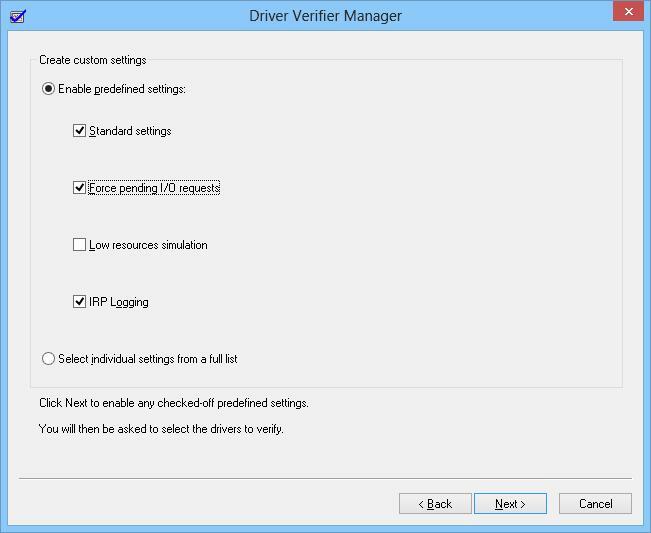 In our example we’ll verify all drivers that are not supplied by Microsoft Corporation. We have checked two drivers: e1g6032e.sys (Intel) and lsi_sas.sys (LSI). Note. Microsoft digital signature ensures that the driver is tested to verify its stability and its code hasn’t been modified afterwards. This is why it is not recommended disable the verification of the digital signature of drivers or use self-signed drivers. Now you only have to click Finish and a notification will appear to restart your system for the changes to take effect. After it is restarted, the system boots in the driver verification mode. 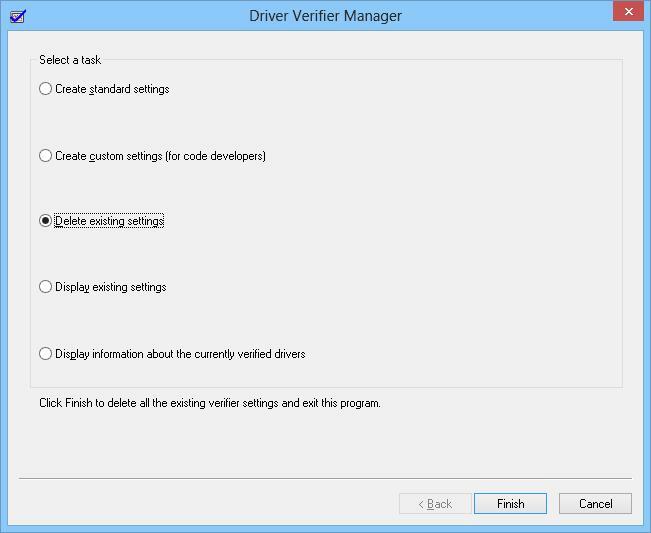 Driver Verifier works in the background performing different types of tests of the selected drivers to detect errors. Use your computer as usual and wait for the BSOD to appear. If you know what actions have lead to the unexpected crash earlier, do them again. If the BSOD appears, copy the memory dump file (by default it is located in C:\Windows\Minidump\*.dmp) and analyze it with Windbg or a similar tool. Important! 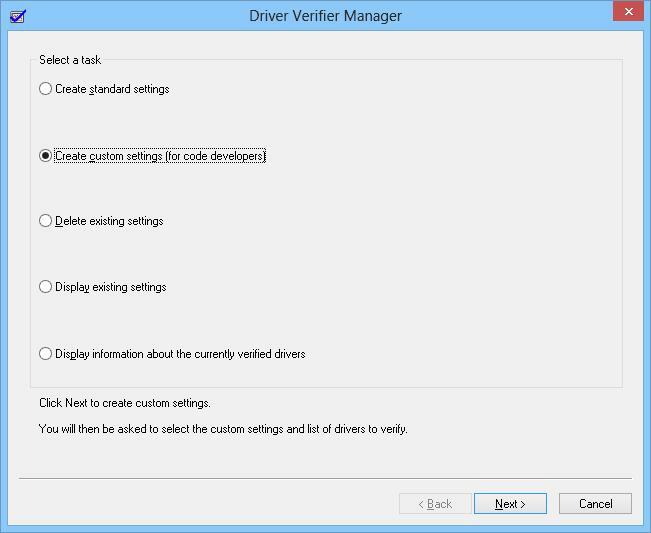 After you activated the driver debug mode using Driver Verifier, this mode is enabled till you disable it manually. 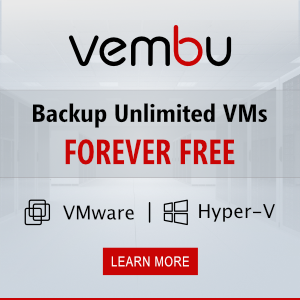 If the problem doesn’t come up within a day or two, to a certain extent you can be sure that the drivers you have verified are not the reason of the system crash and you can disable the verification mode for them. Tip. 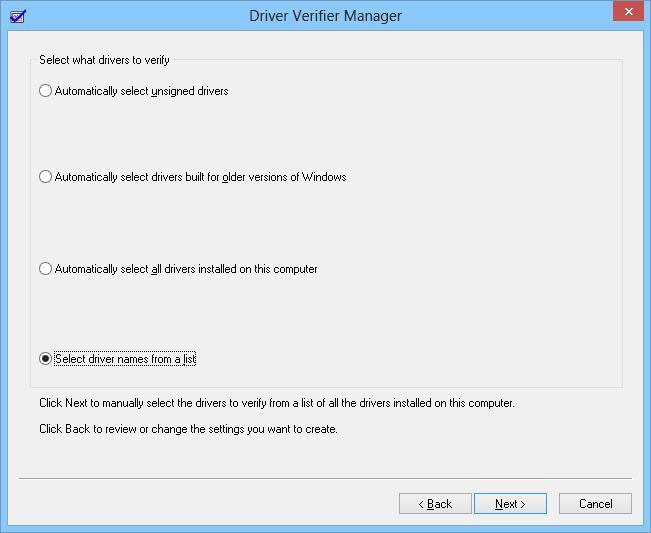 Using Windows Driver Verifier is impacting the performance of Windows, so it is not recommended to work with this mode enabled constantly. 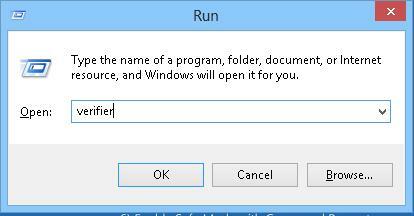 Or from GUI by selecting Delete existing settings. If you can not boot the system in the normal mode, you can disable the debug mode from the Safe Mode.